For pictures look at Premium Rose Varieties for India heading. Growing roses has improved a lot the last few years in India; The industry has grown up. 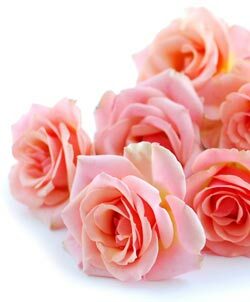 As one of the main suppliers of cutflower rose varieties to the industry, we - as Moerheim Roses & Trading India Pvt Ltd - have the opinion that it is very important to have more practical experiences under Indian conditions. That is why we have the trial and testing farm Moerheim Plants and Flowers Pvt Ltd at Kodyalam near Hosur, TN, where we test our latest varieties. We have already organised OPEN HOUSES on several occassions at these locations in order to inform interested growers about the performance of those varieties and in order to provide a useful tool for variety selection which inturn helps to reduce the risks. As we are representing 5 world wide, respected breeders on the Indian territory, we are convinced that we are a very good partner in the introduction of new varieties and marketing of such varieties for the Indian growers. So please feel free to contact us about the conditions with our varieties.